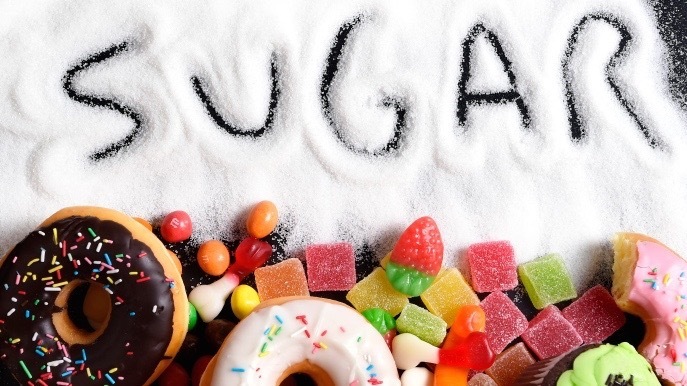 On last week’s Blogpost I introduced you to some basic information about the effects of sugar and refined carbs in our health - physical and emotional. Today I want to add another layer to that reality. Note: I’m on a movie/entertainment mood so the title was a spin off on Cuba Gooding Jr.’s famous exclamation - SHOW ME THE MONEY - on the movie Jerry Maguire. I hope to provide you with enough verifiable information for you to become educated in this subject in a satisfactory manner. With that being said, health and lifestyle are integral parts of my every day life. I’m constantly learning, researching data both from the medical community as well as from my clients. That I do with the intent to improve myself to better serve them and you. Know that a lot of the information I share here, including lifestyle ideas and tips, are rarely original. Often I don’t recall all the sources I have learned from but want to make sure I give credit where credit is due, so I’ll do my best. During the 1970’s innovative ideas in regards to medical practices and research methods were booming in developed countries. Do you know what else was booming? Heart attack rates. Especially in America, it had reached alarmingly high rates during the 60’s. So members of U.S Senate assembled to discuss the matter, and started looking into new data published in regards to the correlation between heart disease and dietary habits. Ancel Keys was one of the leading scientists in this field of research. His work seems to have played a major role in the changes that would hence forth come to the food industry. In a nutshell, research at the time (which has been shown to have been incomplete) showed that the amount of fat being consumed was the culprit in the heart disease rates of the day. The idea that reducing fat intake and increasing refined carbs was introduced as the way to address this problem. The general public, fueled by entertainment personnel, went into a frenzy over fad diets, creating a mentality in regards to food that became ingrained in that generation. I still see much of it in the verbiage and dietary choices of some of my clients and readers. I heard it said once that “the past is like a foreign country, they do things differently there.” The practices adopted by the food industry in the U.S. during the 80’s are examples of that to me. And now we got to the sweet spot of today’s post because, you see, not only fat was reduced/removed from foods but something had to be added, in order for the food to be consumable and palatable. Can you guess what that something was? Awwww you are so sweet to call me ‘sugar’ - thank you! Yup! You got it. So for decades the food industry has been heavily stocking grocery stores with foods designed to fit the low-fat/high-carb approach from the 1980’s. "There have been a number of studies done, and there's been no benefit for low-fat diets to lead to better weight loss, and there's no benefit for low-fat diets to lead to less disease." Says Mary Flynn a professor of medicine at Brown University. It’s hard to grasp how removing a complete food group, indeed a MACROnutrient, would create long term health benefits. Not only that, but creating imbalance within the MACROnutrient equation by raising the amounts of carbs (sugar). It’s almost like we have been walking around like a 3 legged dog, missing something important. Note: Since the changes implemented in the 80’s the heart attack rates in the U.S. have indeed decreased. Americans have also, since then, become more aware of the effects of long term tobacco use on the cardiovascular system. Another aspect to consider is the implementation of new statin drugs into the medical field. So it’s hard to pinpoint the true cause in the decreased rates, but we will take it! Now, let’s work on decreasing the rates of obesity and diabetes because of that sweet change, shall we? “Earlier this year, (the big names in the food industry) reported dismal earnings to their investors. And the most forthright among the heads of the food companies attributed that decline to consumers caring more and more about what they put in their bodies, wanting to eat healthier, and acting on those decisions by changing their purchasing habits, which is really hitting the food giants hard.” Reported Here & Now, a show produced by NPR and member station WBUR in Boston. So don’t despair if your kids, like mine, think that eating greens is a sin and sugar is the elixir of life. We are consciously making changes, intentionally living and teaching by example what healthy habits look like, feel like and how we show up when we live life with such standards. Wanna Connect with Me to see how I can help? Click HERE to drop me your info and I’ll take care of you.